NEW ROCHELLE WEDDING: CONGRATS TO JACKLYN AND JOHNNY!! …who will be tying the knot today at The Church of Saint Joseph in Bronxville, NY. The reception follows at the VIP Country Club in New Rochelle, NY. It’s going to be a lovely day for a wedding. We met Jaclyn and Johnny through our previous client Meredith from her wedding last year. They are a sweet couple and they chose The Catholic University of America in Washington DC, where they met while going to school, as their engagement session venue. 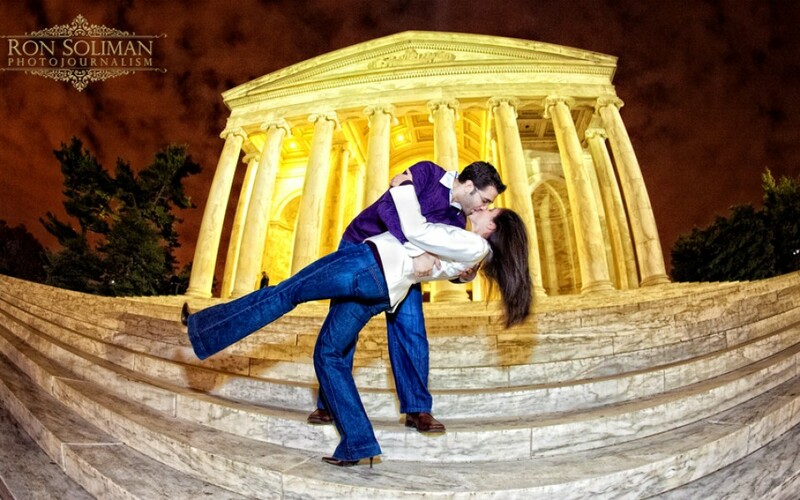 We also went around DC to capture some images showing the beauty of DC at night….check out this image form their engagement.